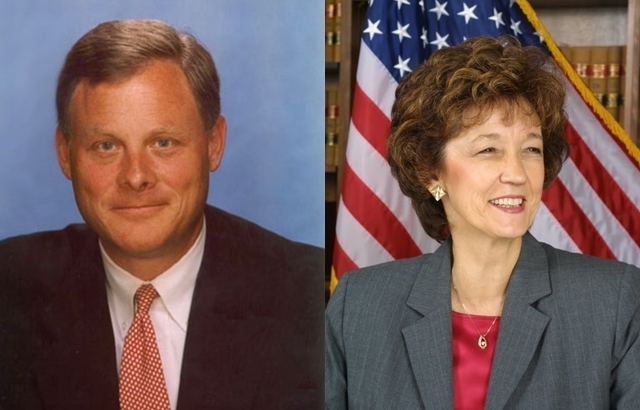 Both PPP and Rasmussen have incumbent Republican Richard Burr storming out to larger leads over their would-be opponents Elaine Marshall and Cal Cunningham. So while PPP had Burr in serious danger while Rasmussen had Burr reasonably safe, that distinction is fading. Per PPP, Burr’s worst matchup is the pictured one versus Marshall, where he leads 46-39 (MoE 3.9) giving Burr an 81% lead probability. Rasmussen though has Cal Cunningham doing slightly better, giving Burr a 47-35 lead (MoE 4.5) for a 90% Burr lead probability. So the dream scenario of PPP picking one candidate to win and Rasmussen picking the other is less likely to come about, at least in this state. We can hope for a stark contrast to show up elsewhere, though. Ohio perhaps?